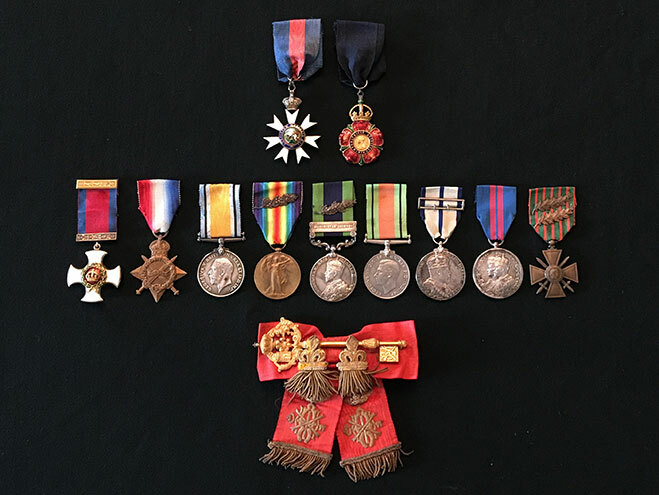 The Gurkha Museum is delighted to announce that it has been gifted the medals and some personal papers of Colonel Cecil John Lyons Allanson CMG CIE DSO, late of the 6th Gurkha Rifles, thanks to the generosity the 6th Queen Elizabeth’s Own Gurkha Rifles Regimental Association and Trust. This follows on from their assistance in the purchase of the medals of Major General ‘Punch’ Cowan CB CBE DSO* MC, Commander of 17 Gurkha Division during the Burma Campaign. 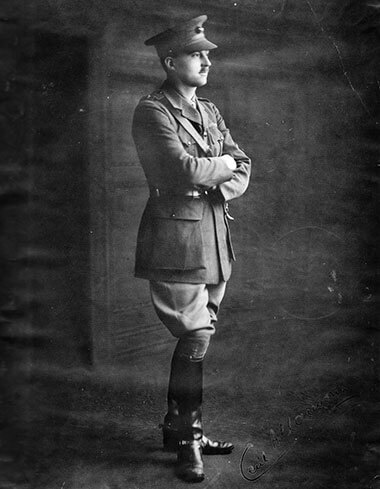 Major Allanson commanded 1/6 Gurkha Rifles at Gallipoli in 1915 where they gained immortal fame for the action at Sari Bair: they were the only troops in the whole campaign to reach and hold the crest line and look down on the Straits which was the ultimate objective. Allanson himself was severely wounded, as was every British officer in the 1/6 GR who had not been killed, except for the Medical Officer, Capt Phipson. Having captured the crest line the Battalion came under heavy fire, sadly from Allied artillery, and were forced to withdraw under command of Subedar-Major Gambirsing Pun, who spoke no English and relied on Capt Phipson to interpret for him. The Battalion withdrew in good order and Gambirsing was awarded the MC for his leadership and gallantry. Total casualties amounted to 204 all ranks in three days fighting, of whom 45 were killed, three of them British officers. Allanson and Phipson were awarded the DSO. From August the 28th to September 10th 1/6 GR were engaged in the usual routine of trench warfare but, after a spell of 34 days fighting, were relieved by the 19th Australian Infantry Battalion and sent into reserve. On 12 December Battalion commanders were told in great secrecy that it was intended to evacuate the Anzac and Suvla areas of the Peninsula. At 4pm on the 21st the 1/6 GR left Murdos on S.S. Knight Templar and arrived in Alexandria on Christmas Eve. The 6GR were subsequently awarded the Battle Honours “Helles”, “Suvla”, “Krithia”, “Gallipoli 1915”, and “Sari Bair”. This latter award appears in a place of honour at the top of the cipher of the Regiment’s cross-belt plate as well as on the drums of the Pipe-band. The 6th Queen Elizabeth’s Own Gurkha Rifles was a rifle regiment of the British Indian Army comprising Gurkha soldiers of Nepalese origin, before being transferred to the British Army following India’s independence. Originally raised in 1817, the name 6th Queen Elizabeth’s Own Gurkha Rifles ceased to exist as part of the British Army in 1994. Provided and maintained by the 6th Gurkha Rifles Regimental Association, this website aims to help perpetuate the memory of the Regiment for all those who had the privilege and pleasure to serve in it. It is also a means of communicating the activities of The Association and The Trust as well as informing visitors of the activities of the 6th Gurkhas, both past and present. Additional information for Association Members is in the Members Area. Further Battles and more archive photographs will be added over time. Many images on the site have come from Regimental albums and archives, now the property of The Gurkha Museum in Winchester and we are most grateful for their permission to use them. Other images have been willingly provided by individuals, too many to name, but to whom we are equally grateful. We welcome your feedback and questions via the Contact page. Jai Sixth!